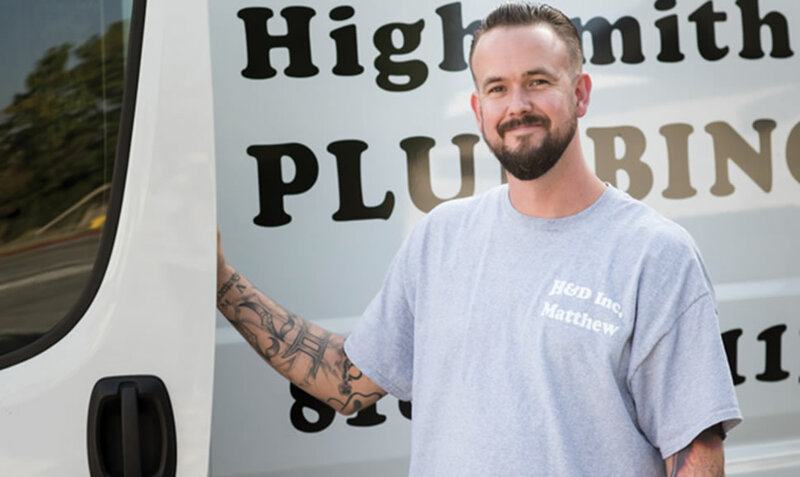 About Us - Highsmith & Daughters Plumbing Inc.
My name is Matthew Highsmith and I am the owner of Highsmith & Daughters Plumbing Inc. I’ve been a plumber since 2005 and love what I do. We’re a family owned and operated business, and hopefully one day I’ll be able to pass it on to my two beautiful daughters. My promise to you is that we will bring the utmost professionalism to any job you hire us for. Fair and honest quotes, professional workmanship, and meticulous cleanup of the work area is what you can expect from us. I am up to date on California laws and restrictions and I take annual courses to train my crew to stay up to date on new fixtures and ways to go green. We provide a large spectrum of plumbing services for both commercial & residential customers and offer 24/7 emergency service. Please give us a call or contact us via email.